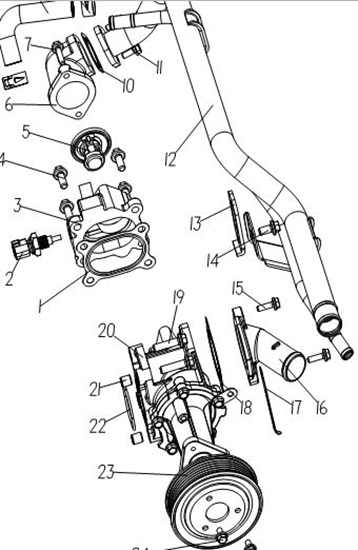 Waterpump Assembly. Shown As Number 20 In Diagram. Fits DFSK "C" Series Models With 1500cc DK15-06 Engine.